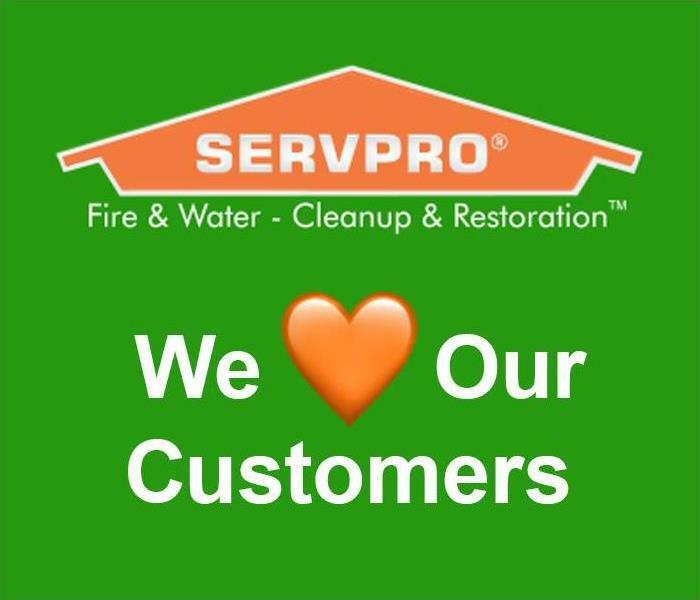 We treat all of our customers with respect and integrity at SERVPRO of Southeast Portland. It is our goal to exceed our customers expectations on every job. If our customers aren't happy then we're not happy. From the initial interaction to after the job is completed we value and respect all of our customers. This is why we are transparent in all of our interactions we have with our friends and neighbors in Southeast Portland. Our staff at SERVPRO of Southeast Portland is highly trained in property damage restoration. 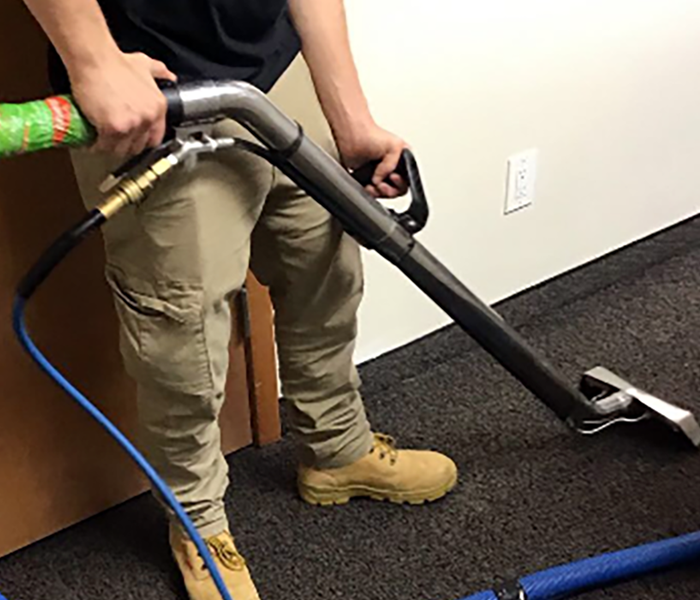 They receive initial and ongoing training at SERVPRO's Corporate Training Facility to regular IICRC, (Institute of Inspection Cleaning and Restoration Certification). When an Incident Occurs We are there. We are available 24/7 365 days a year for whatever happens. This water damage occurred in a Southeast Portland home at 2 am on a Tuesday. It doesn't matter when these things happen we are ready to assist. 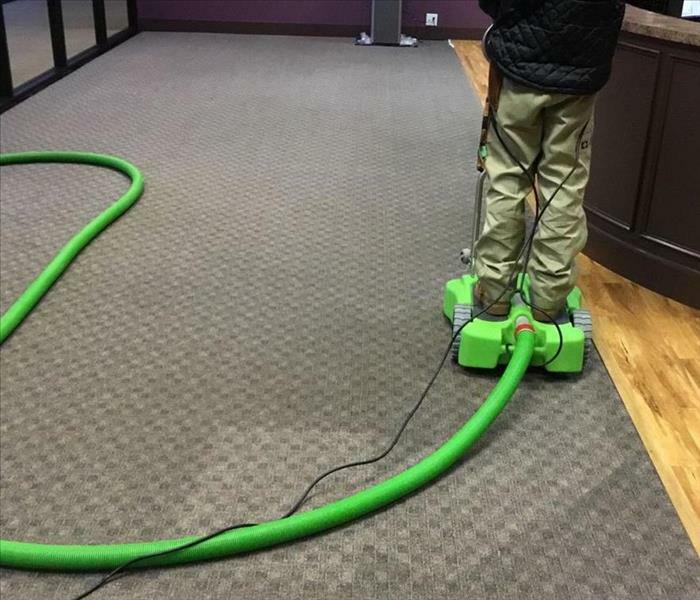 No matter how large or small a job SERVPRO of Southeast Portland has the equipment to get the job done right. Our proprietary, safe and enviromnetally friendly cleaning products along with the highest quality equipment will ensure the job is done right. No matter how big or small a job we here at SERVPRO of Southeast Portland make sure it is done right. We make sure every detail is taken care of to ensure it is "Like it never even happened." 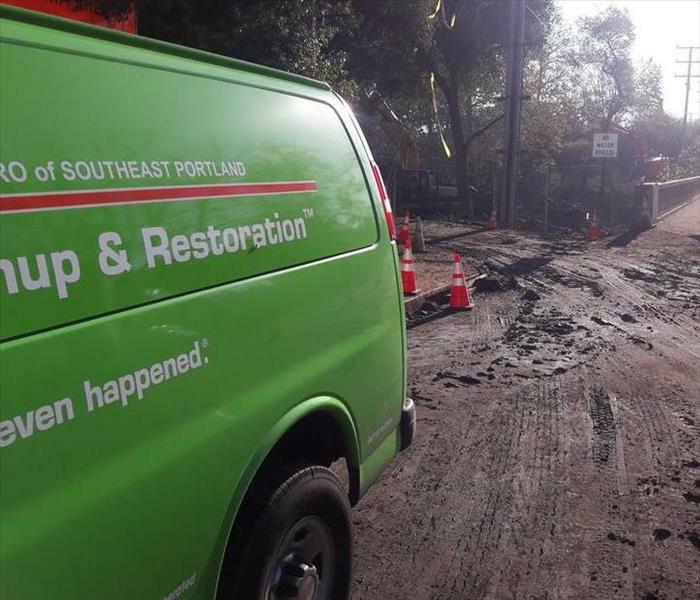 SERVPRO of Southeast Portland onsite assisting with the cleanup of the devastating fires and mudslides. A wild fire came through this area, then the following week it poured down rain making the ground unstable and prone to mudslides. 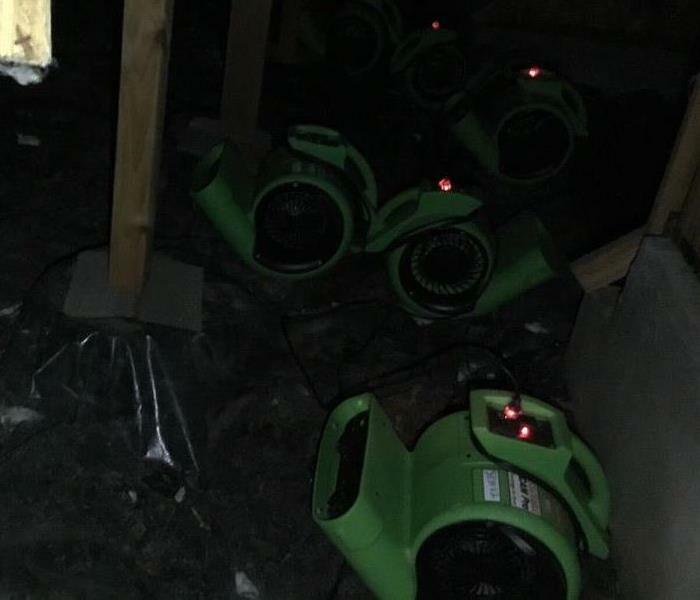 SERVPRO of Southeast Portland was called out to a job in that had sustained severe water damage in a nasty storm. 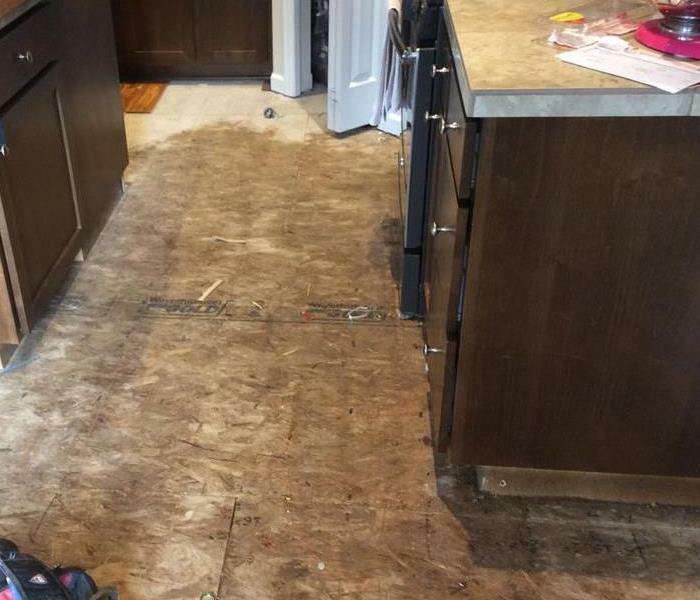 Upon inspection, the floors were found to be floating on a 1/2 inch of water trapped between the flooring and sub flooring! 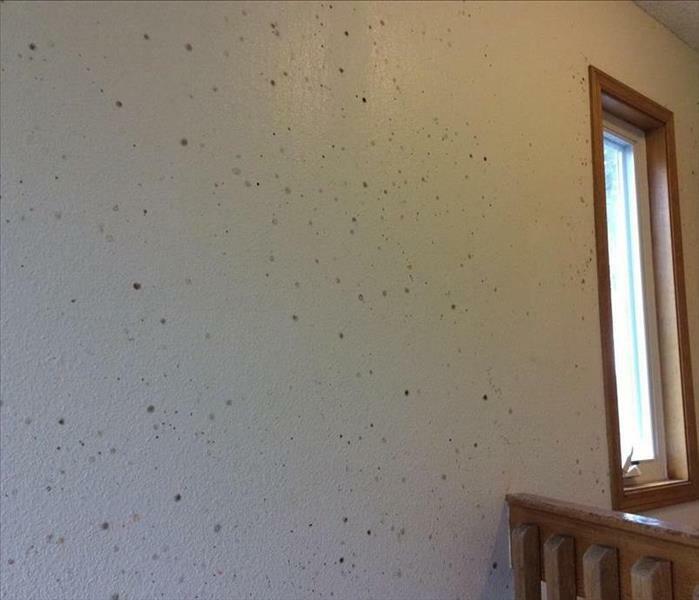 This is part of the aftermath of a mold outbreak that extended throughout a home and furniture. 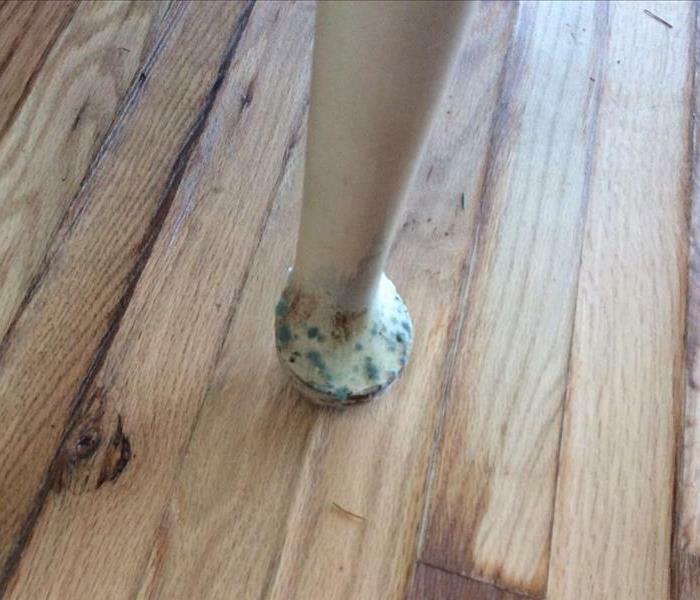 Mold damage had spread from floor to walls to furniture through every square inch of home. 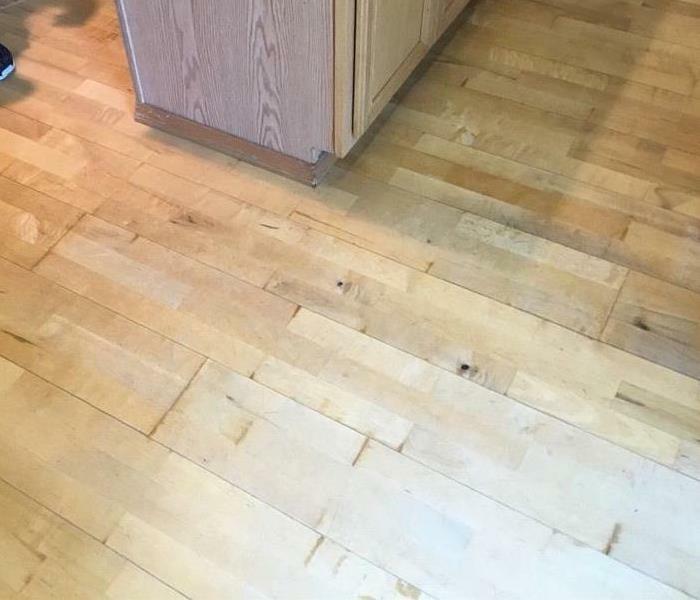 SERVPRO of Southeast Portland made it "Like it never even happened." This was the result of a small fire that SERVPRO of Southeast Portland was called out to clean up and restore. We used our available services to make it "Like it never even happened." 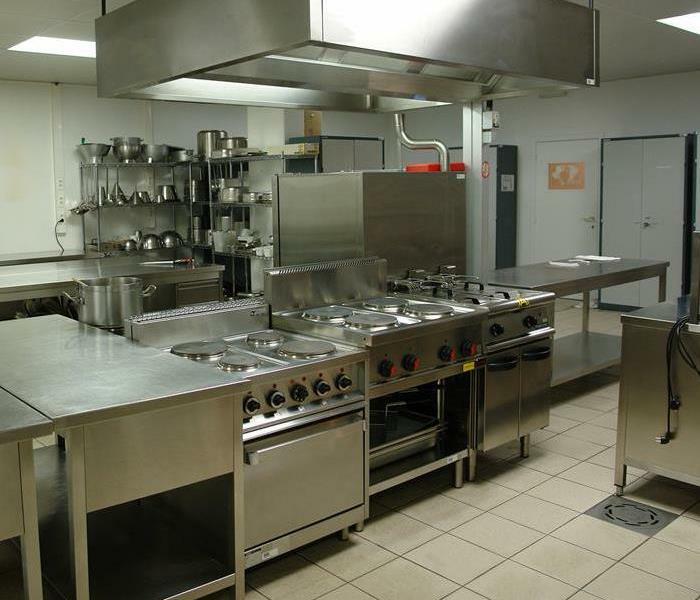 SERVPRO of Southeast Portland offers cleaning services for restaurants as well as other commercial buildings. We have a very large array of cleaning products and knowledgeable crew to tackle any sized job. 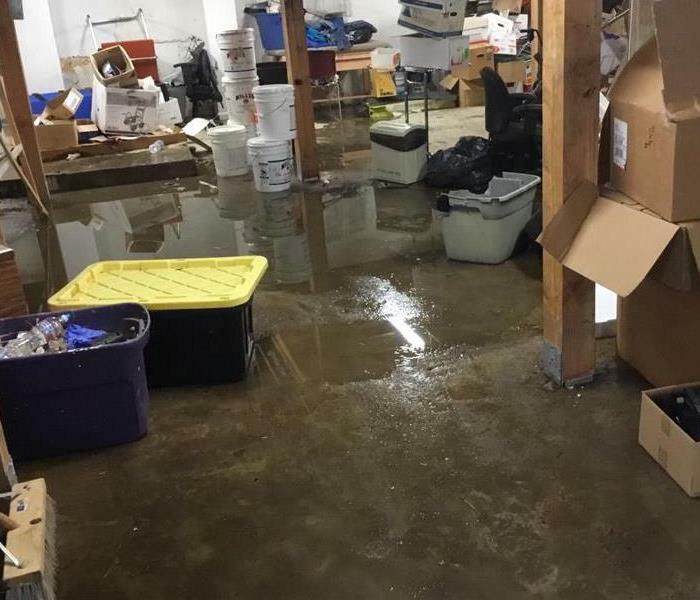 A warehouse flooded in Portland, OR that SERVPRO of Southeast Portland successfully extracted and mitigated. This particular business could absolutely not afford to be shut down for any period of time, which we obliged by mitigating rapidly and effectively. Heavy cupping on wood that could not be salvaged. Sometimes the damage incurred is beyond repair. 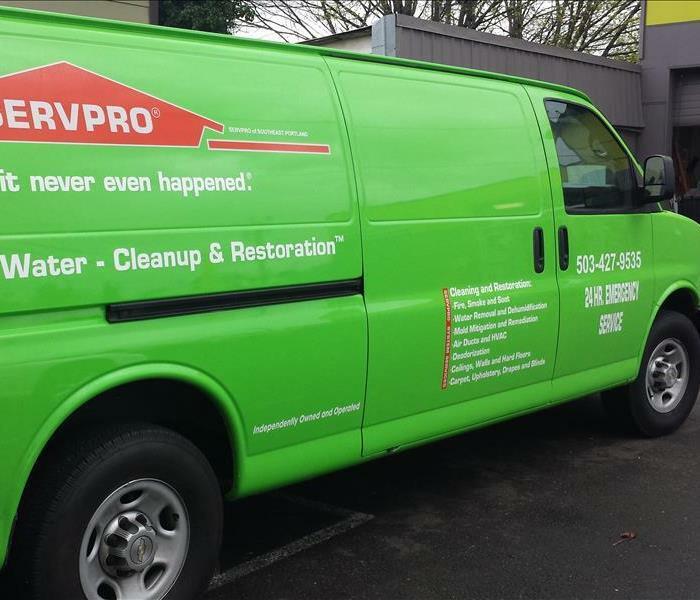 No matter what though, SERVPRO of Southeast Portland always tries our best to make it "Like it never even happened." This picture is of equipment placed and running in tight crawlspace area. More often than not, flood water will find it's way down into crawlspaces and effect mitigation, which we always need to address and rectify. 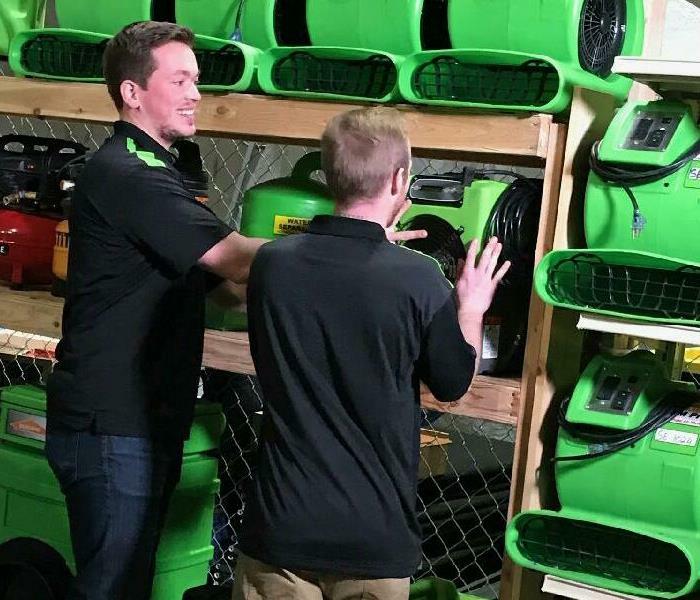 SERVPRO of Southeast Portland carries a vast line of specialty drying equipment. 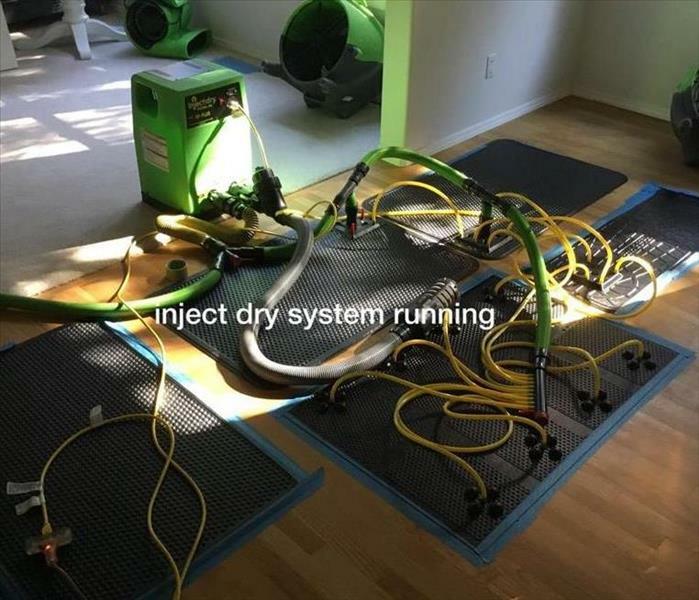 In this case a vicious storm decimated a house and required us to use advanced drying systems to expedite the mitigation and fix the water damage. 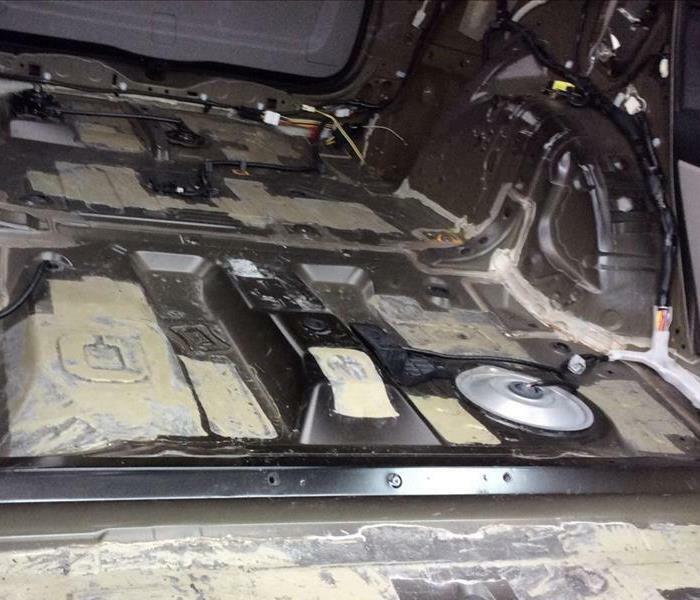 SERVPRO Southeast Portland can even perform mold remediation on cars. 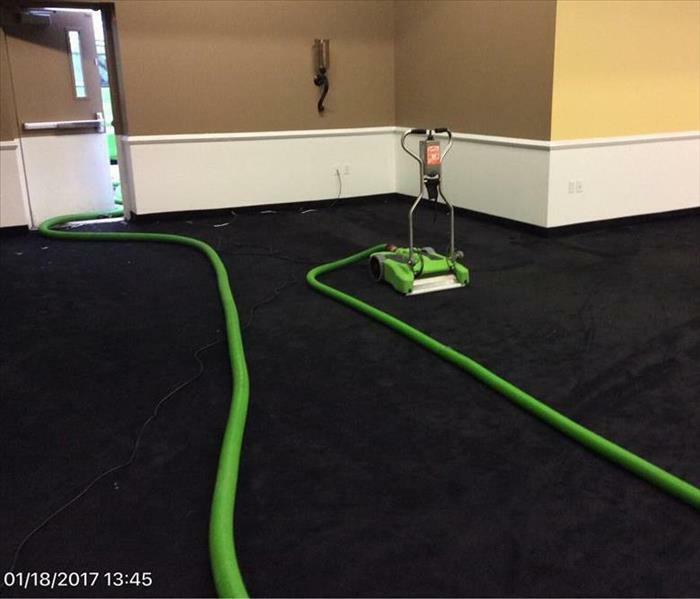 A local dealership requested SERVPRO Southeast Portland to come in and utilize our services to make it "Like it never even happened." SERVPRO of Southeast Portland responding with one of our extractor mounted Vans to extract flooded home after heavy rainstorm. The flooded areas of the home were contained in a matter of hours. 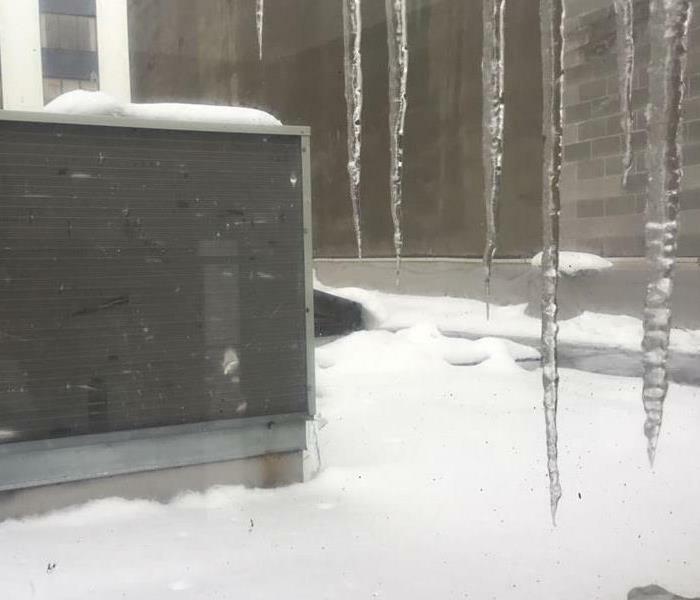 Ice Storm caused major damage in Oregon areas this past winter. 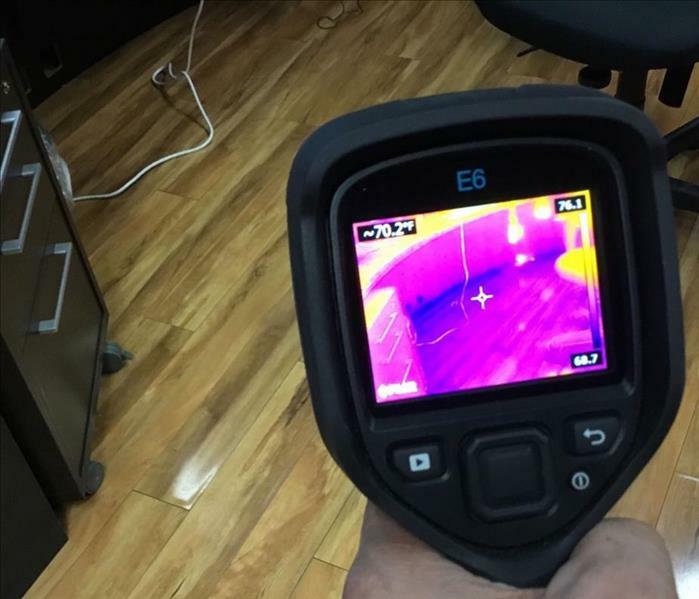 This is one cause of loss from a building SERVPRO Southeast Portland successfully mitigated and made it "Like it never even happened." 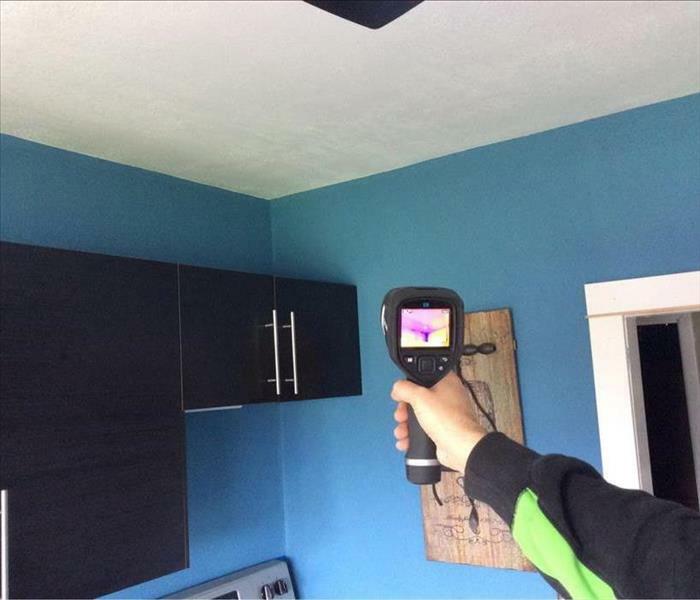 Thermal Imaging camera used by SERVPRO of Southeast Portland to quickly and thoroughly inspect a business who suspected they might have incurred water damage, but just wanted a quick and efficient check, which proved positive. It's a great piece of equipment to have for businesses to be inspected quickly. 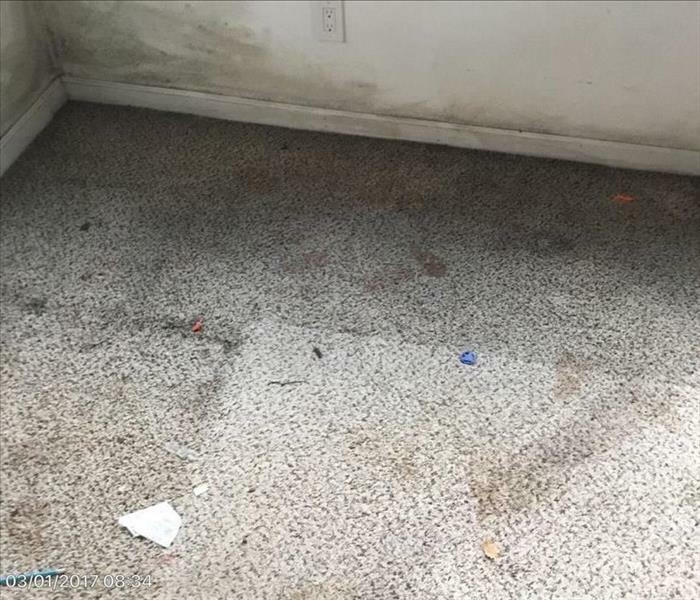 This is a home that incurred heavy sub-floor water damage that was successfully mitigated by SERVPRO of Southeast Portland. 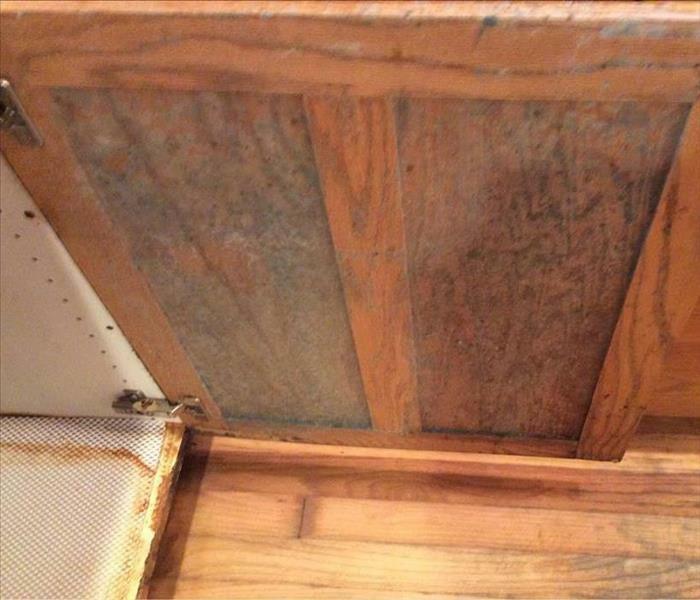 Wood can sometimes look dry on top, but it is important to know if moisture is under it as well. 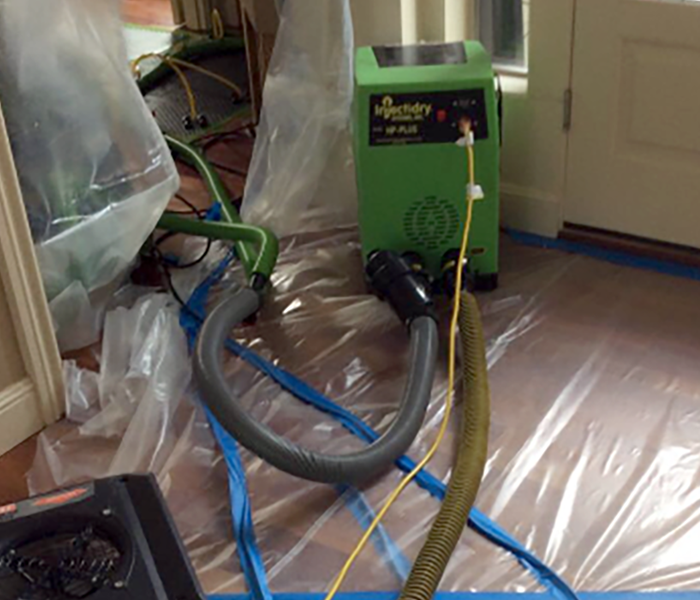 SERVPRO of Southeast Portland extracting heavily saturated floor as a result of storm flooding causing water damage. This was another example of our crew doing an efficient and thorough job for a customer who could not be out of business for long. Bring your Hardwood Flooring Back to Life! SERVPRO Southeast Portland also specializes in hardwood flooring restoration. Not all damaged flooring needs to be removed - a lot of times, it can be restored using our products and services. Sometimes business or home owners simply do not have time to clean or upkeep their offices or homes. 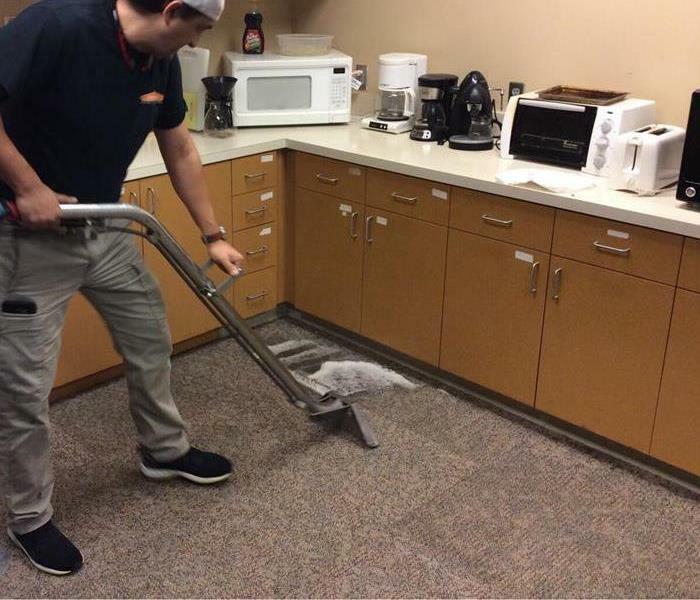 SERVPRO of Southeast Portland offers services to keep your office or home looking fantastic! 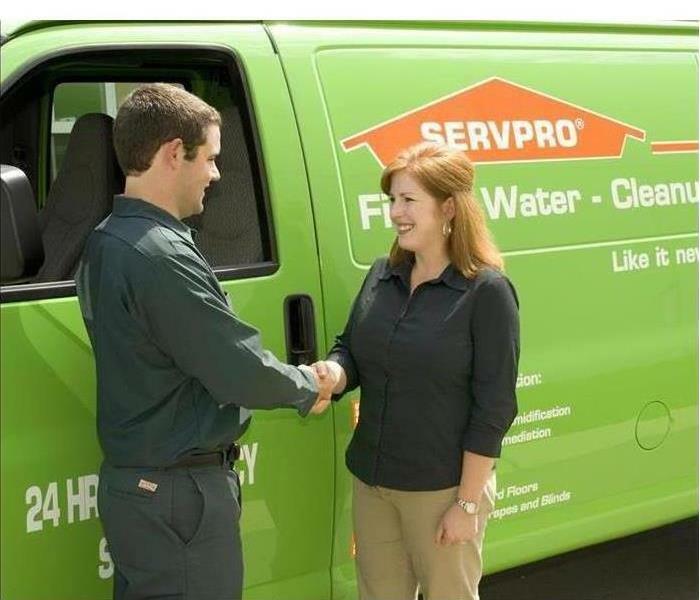 There are several businesses that have hired SERVPRO of Southeast Portland for professional cleaning services. 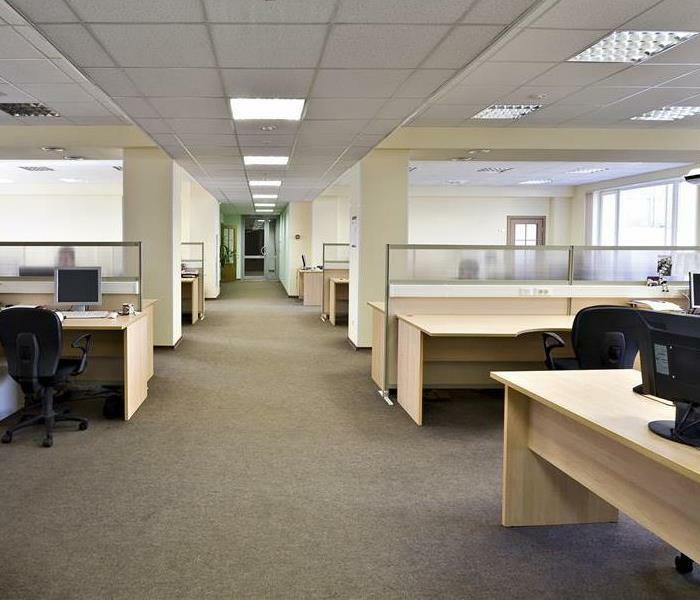 We offer daily, weekly and monthly office cleaning services that will maintain the highest level of cleanliness. A furniture showroom floor flooded and requested to be extracted and cleaned up by SERVPRO of Southeast Portland. The customer was impressed how quickly we made the problem "Like it never even happened." Mold thrives in moist, dark places. 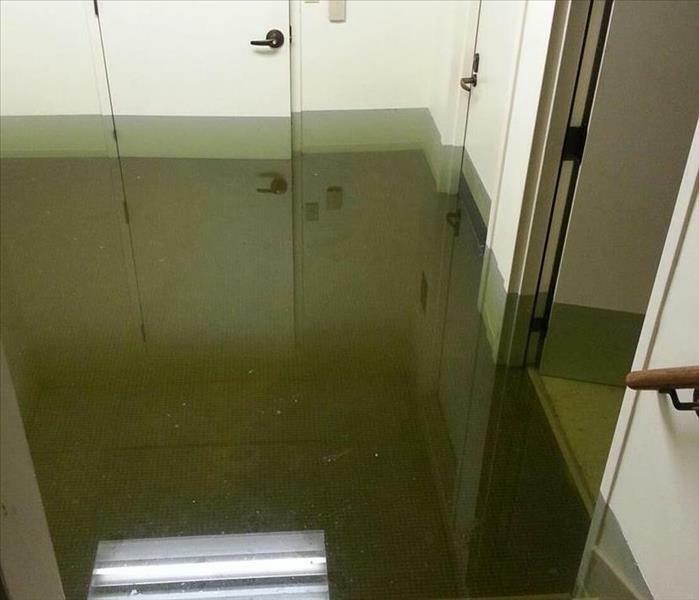 This was the aftermath of a large scale flood in a home. 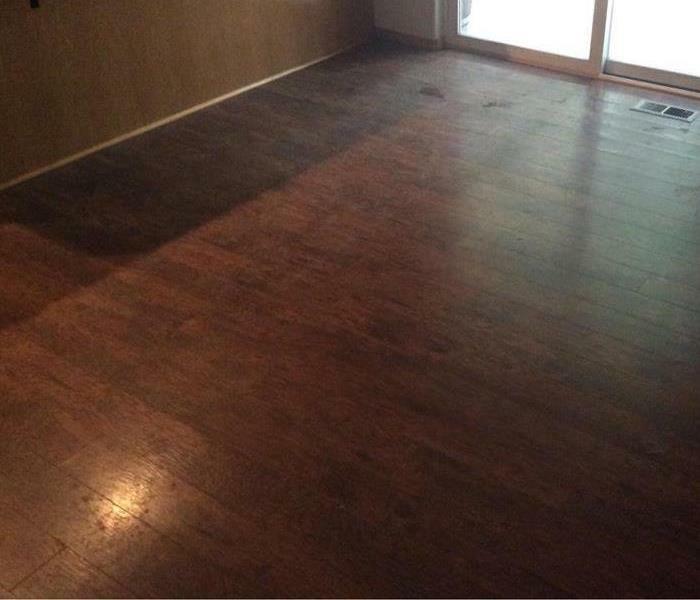 SERVPRO of Southeast Portland was called in and successfully mitigated and remediated the home. This is mold growth that was spreading rapidly in home that underwent mold remediation by SERVPRO of Southeast Portland. We made this on the brink of disaster situation look "Like it never even happened." Heavy mold growth discovered upon inspection at a Portland area home. The mold was a result of an untreated flooding of the home. 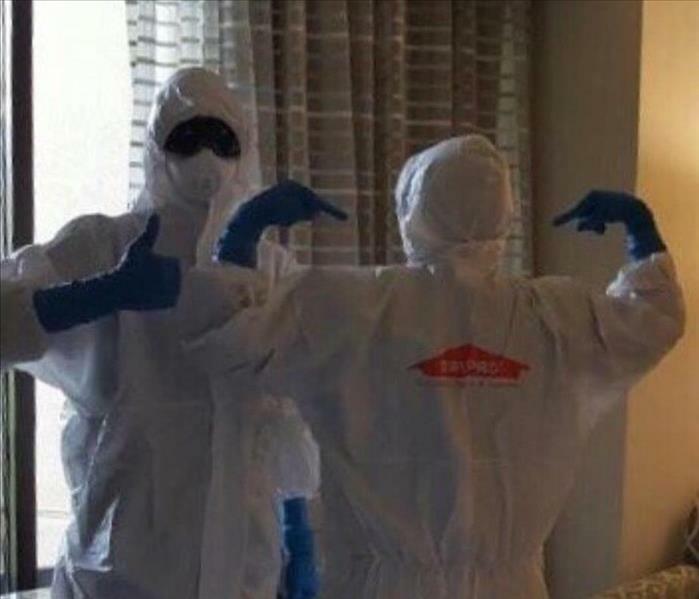 SERVPRO of Southeast Portland was called in to successfully make it "Like it never even happened." 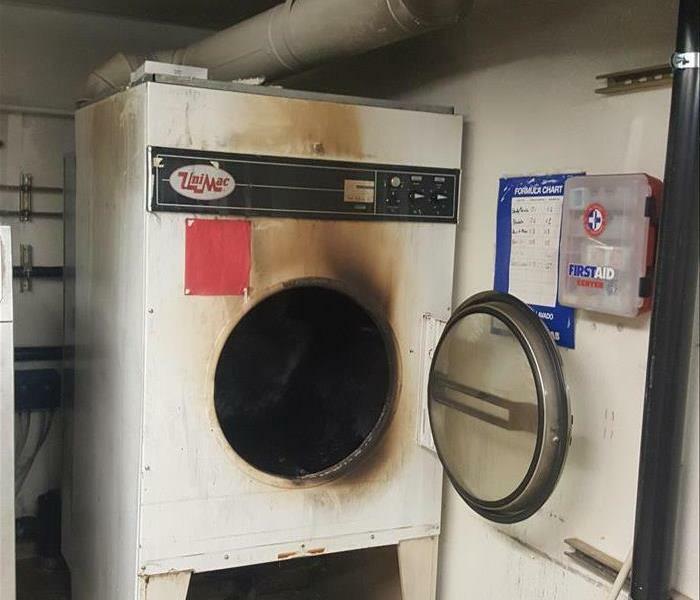 SERVPRO Southeast Portland called to a business that a dryer caught on fire causing extensive damage that was removed. We once again were called to a situation to make it "Like it never even happened." This is the aftermath of a fire in a laundry room of a retirement center. SERVPRO of Southeast Portland was called in to clean and restore the room to it's original condition. 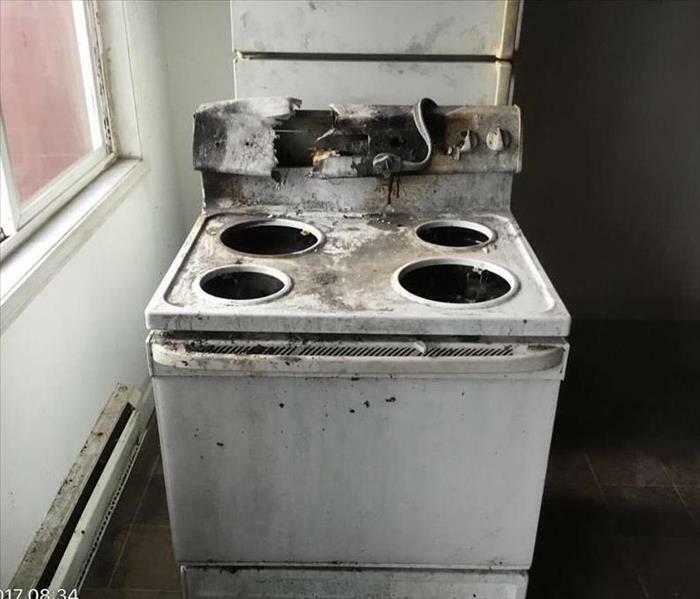 This is the aftermath of a fire in a kitchen of an apartment. SERVPRO of Southeast Portland was called in to remove the damaged range and clean up the kitchen. 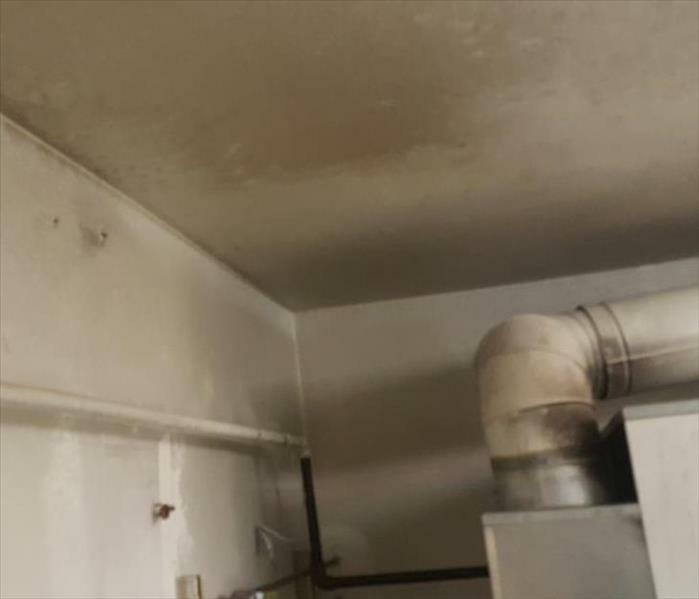 This is discoloration caused by fire and soot damage in a business office. 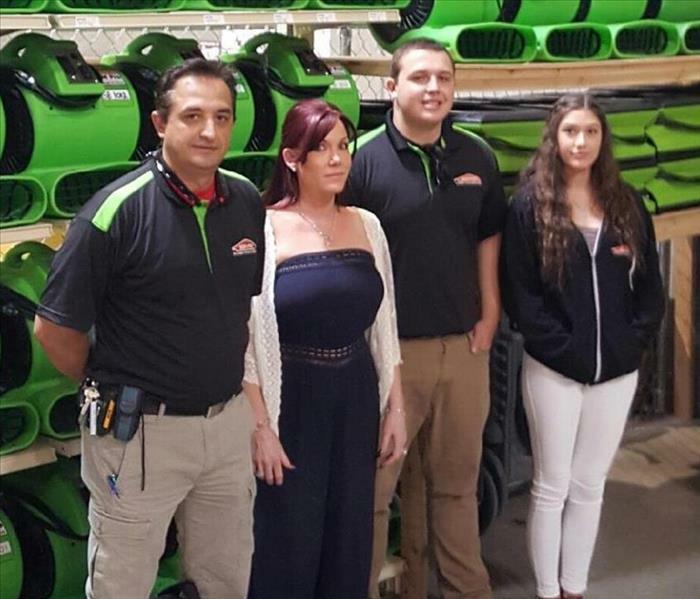 SERVPRO Southeast Portland carries products and knowledgeable technicians that can restore damaged materials "Like it never even happened." This was a 7,000 Square foot basement entirely flooded with 2-3 feet of standing water throughout. SERVPRO of Southeast Portland was called in to successfully extract it all. 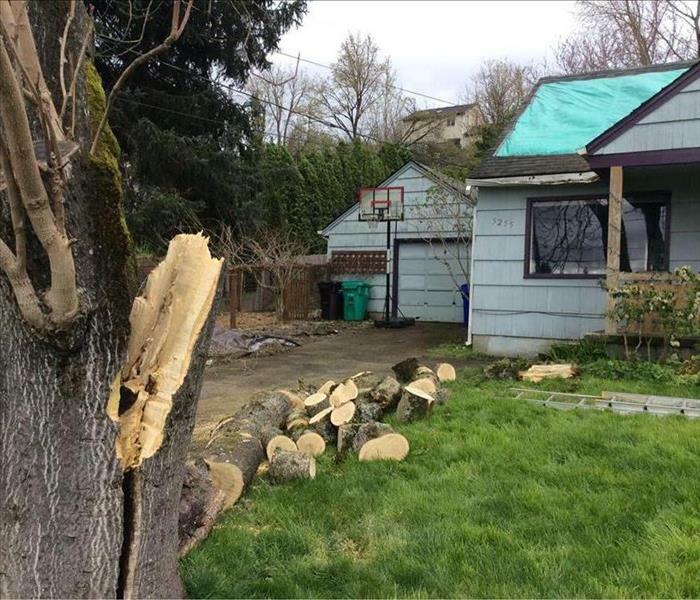 Tree fell on house in Portland, OR causing major damage. SERVPRO Southeast Portland assisted with tree removal and facilitated water mitigation. 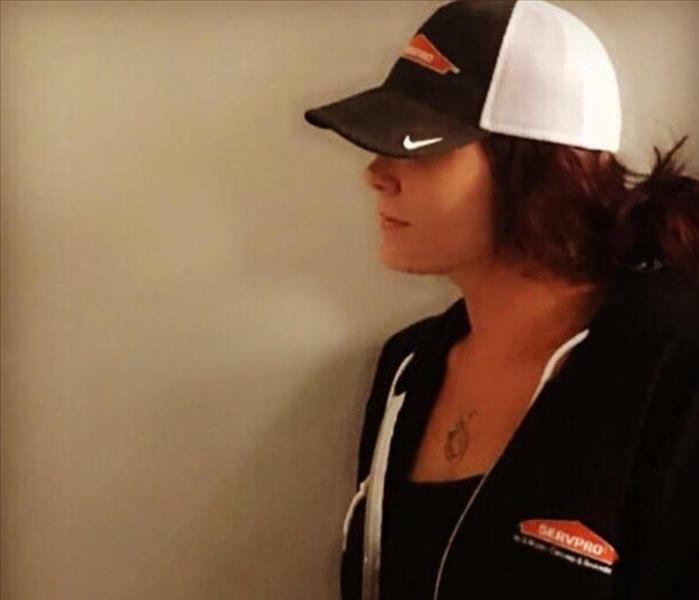 SERVPRO of Southeast Portland has a vast array of products and highly skilled and trained storm damage technicians who can make it "Like it never even happened." Thermal cam detecting storm damage. 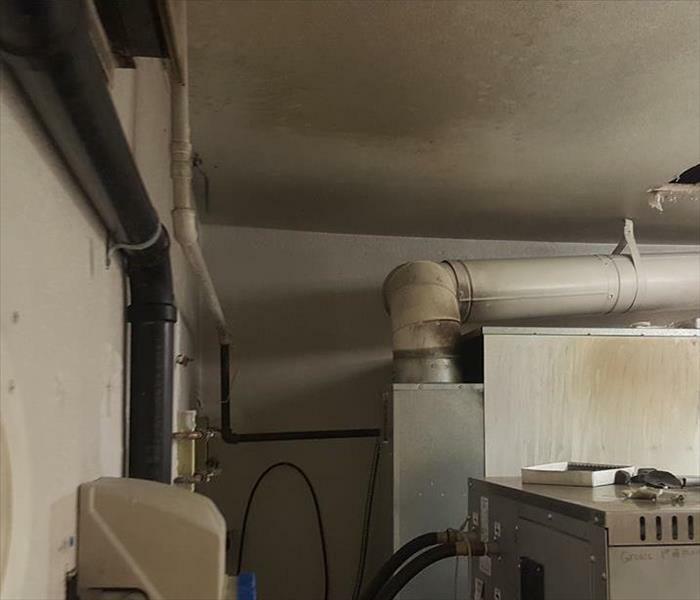 A major storm in the Portland area caused major flooding and this particular ceiling to incur water intrusion, which we detected and mitigated successfully to make it "Like it never even happened." 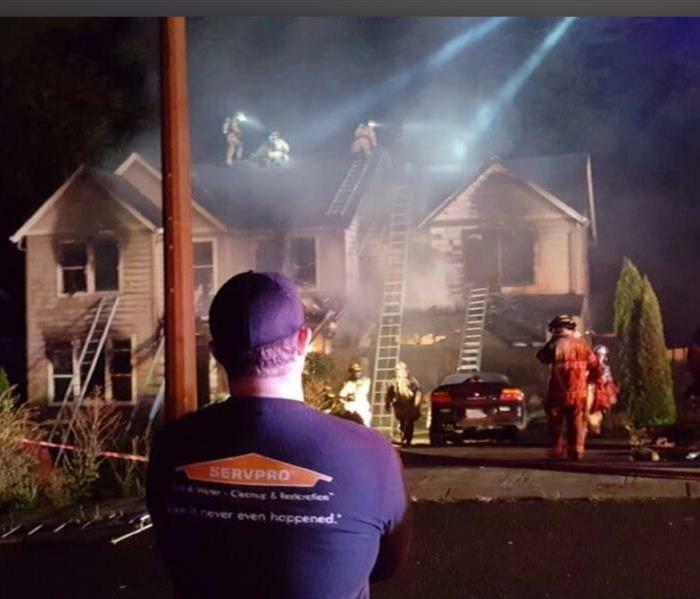 SERVPRO of Southeast Portland's vast inventory of water and fire damage restoration equipment allows us to tackle any job, anywhere. 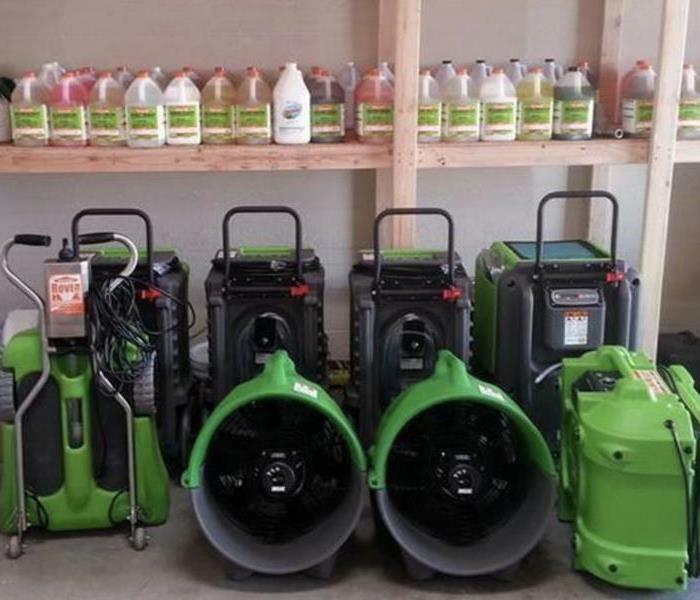 From high powered fans and dehumidifiers to cleaning supplies for any damage, we are always stocked and ready to go! 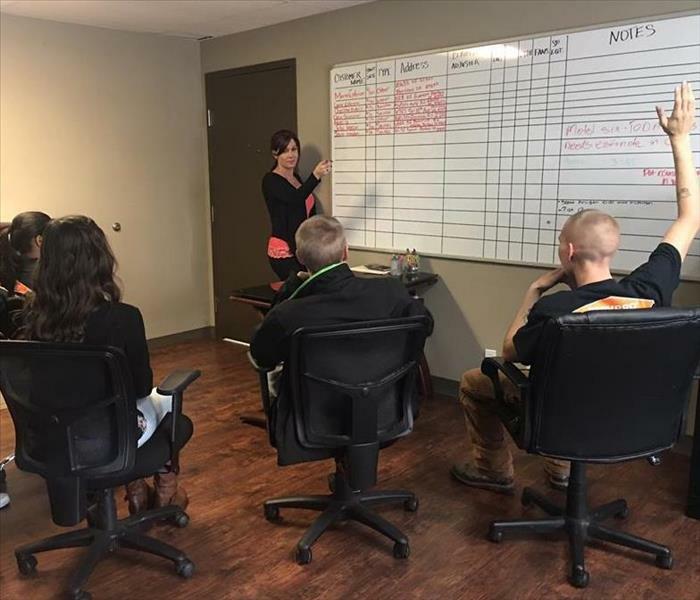 At SERVPRO of Southeast Portland, we conduct a lively and interactive morning meeting each day. This meeting updates all employees on jobs to be done for the day and any other information needed. Always in Uniform at SERVPRO of Southeast Portland! At SERVPRO of Southeast Portland, we adhere to all SERVPRO uniform guidelines. Each employee represents our company and the SERVPRO Brand each and every day, either in the office or out in the field. At SERVPRO of Southeast Portland, there is no job too little or too big. 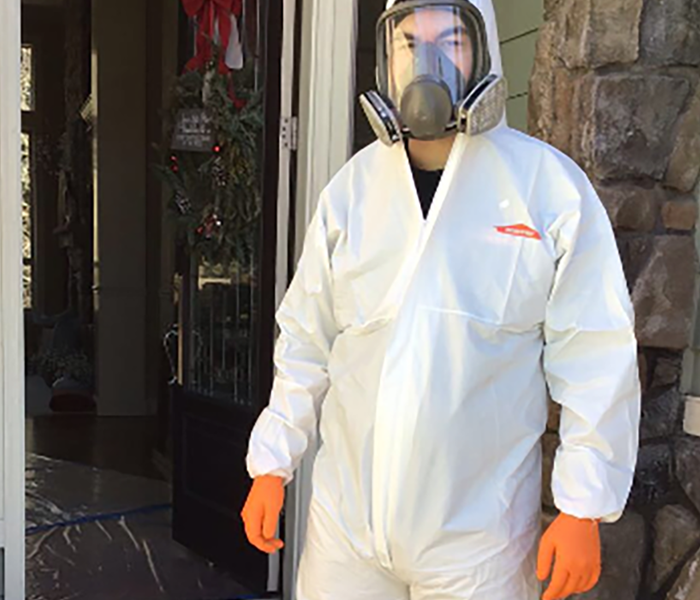 From cleaning to fire or water damage to mold remediation, we are dedicated to assisting our customers in any situation. SERVPRO of Southeast Portland gets the job done! At SERVPRO Southeast Portland, we are always here to help! We offer our services 24 hours a day, 7 days a week, 365 days a year, no matter what the job requires. Silo, Merci, Sebastian and Miranda in the SERVPRO of Southeast Portland warehouse. Being a family run business allows us to have and form a dedicated and loyal response team faster than the competition. Our warehouse is located in a prime location to access all of Portland and surrounding areas in a timely manner. This is just one of our fully stocked and equipped company vans. 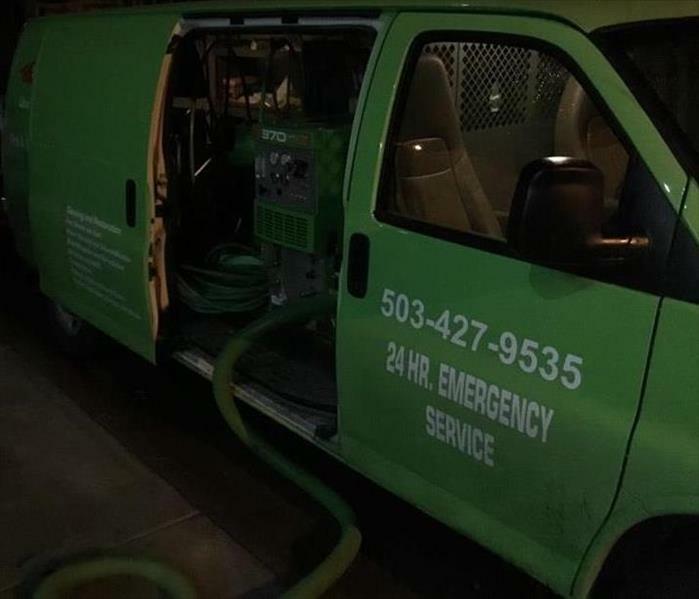 At SERVPRO of Southeast Portland, we have vans that are fully equipped with water extraction machines, tools and disaster relief supplies. A SERVPRO of Southeast Portland tech meticulously bubble wrapping and boxing contents. 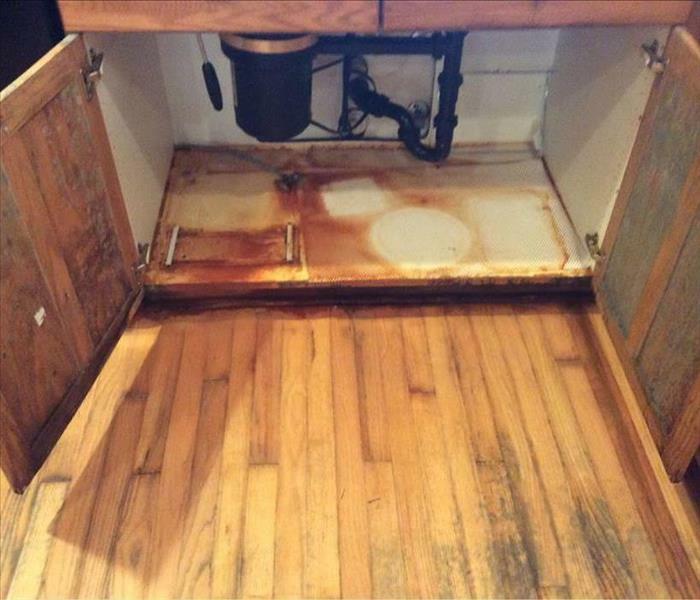 Her home incurred major water damage that was mitigated by SERVPRO of Southeast Portland. She was impressed how SERVPRO of Southeast Portland made it "Like it never even happened."